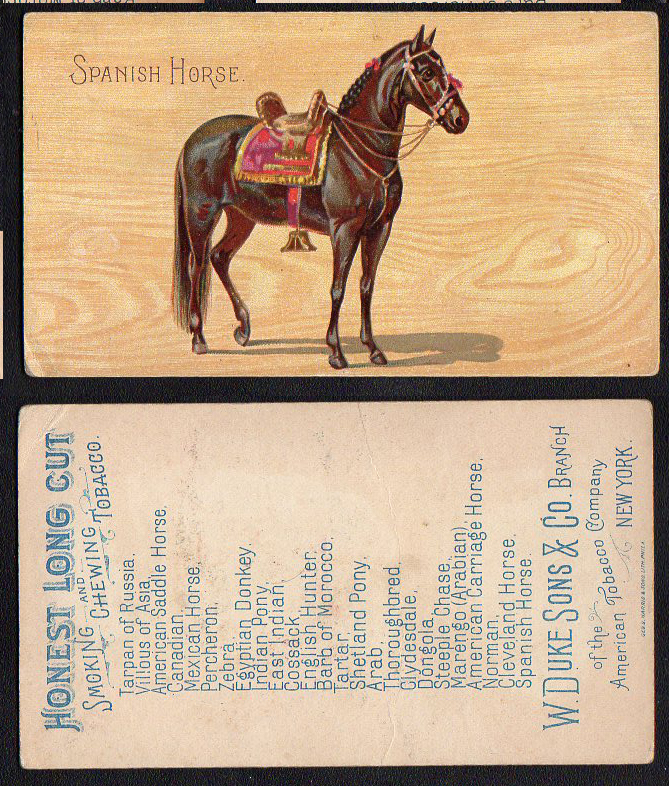 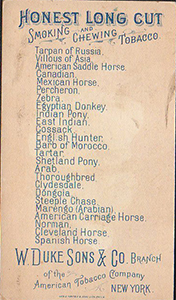 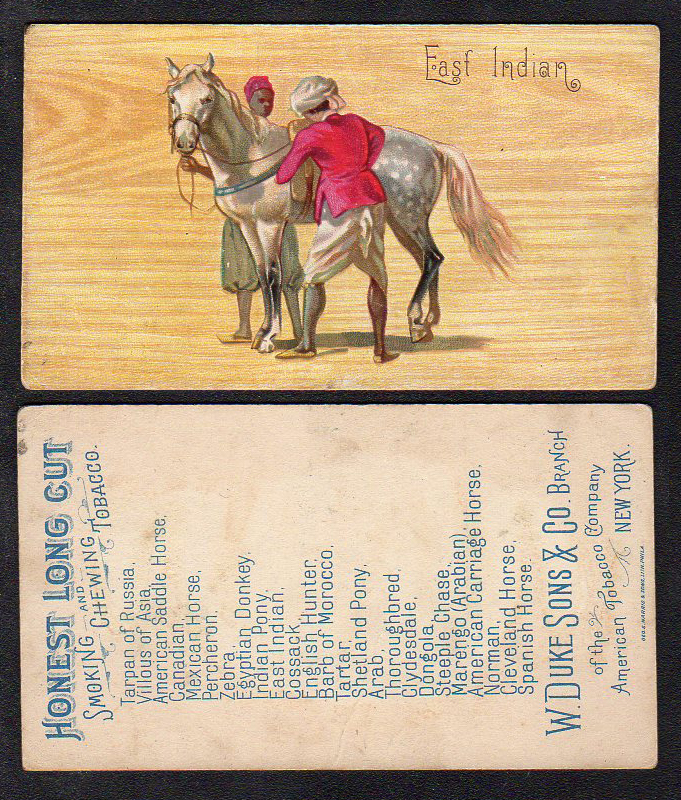 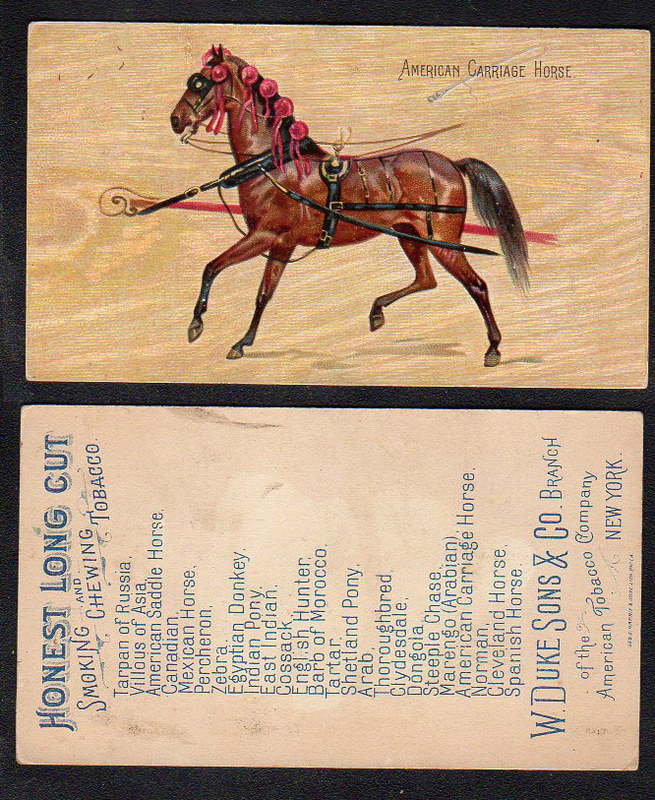 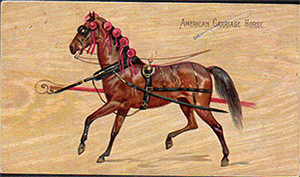 Duke released this series of 25 large cards featuring different breeds of horses around 1892. 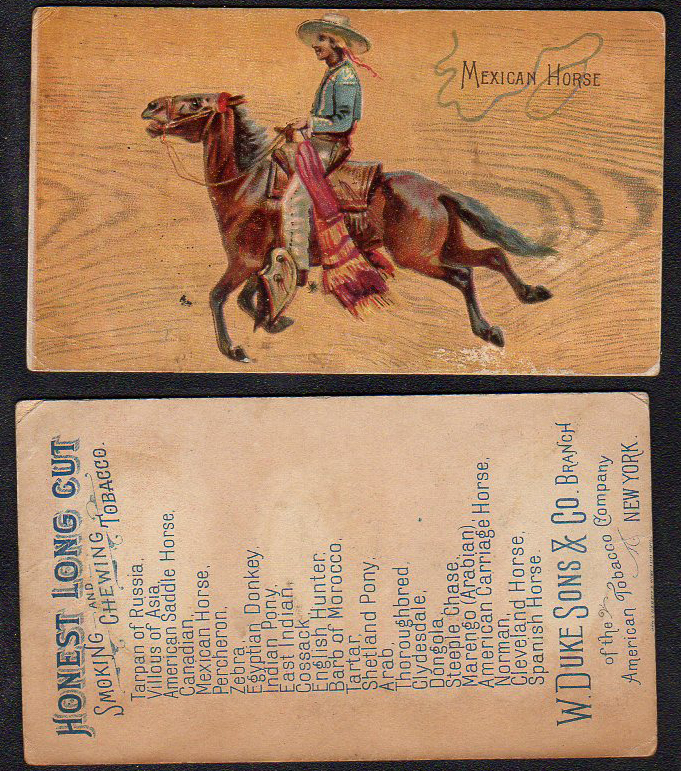 These large cards measure 2-7/16" X 4-1/4". 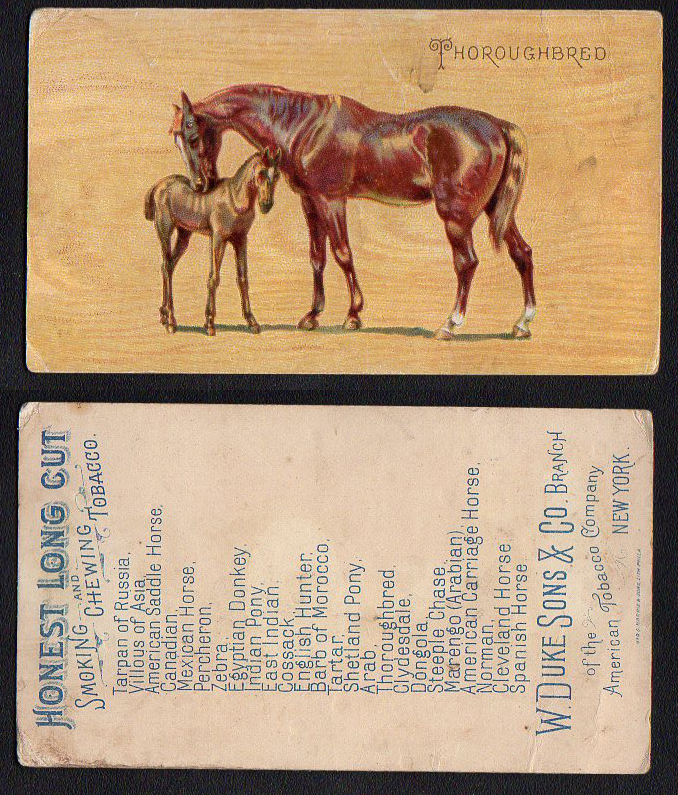 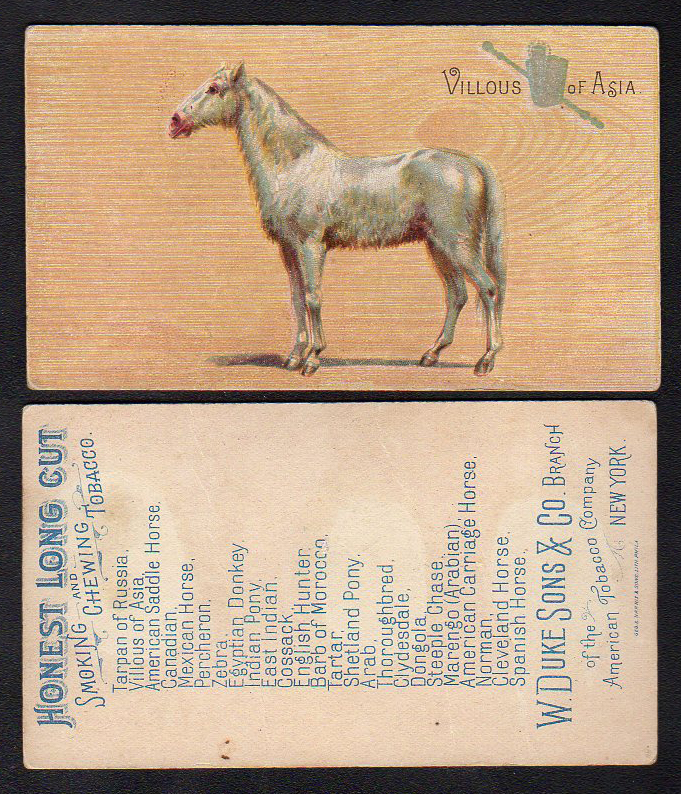 Harris & Sons did the lithography for these cards.